The Ashes of London by Andrew Taylor was published in 2016 and it begins during the Great Fire of London. Between 300 and 400,000 people lived in London at the time and as so much of the city burned down people don’t have homes or even any possessions, the refugees are the lucky ones really as they’ve survived, but none of them is unscathed. There are bodies all over the place, some of them hundreds of years old as the crypts of the many burnt out churches are visible, in fact people are turning up to gawp at bodies of once famous people, well what’s left of them anyway. However when fresh bodies begin to turn up and they’ve had their thumbs tied together behind their backs it’s obvious that there’s a murderer about. 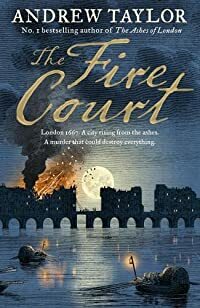 It’s only six years after the restoration of King Charles II to the throne and he’s determined to track down the people who were instrumental in having his father executed, so this book turns into a bit of a political thriller as well as being a murder mystery. 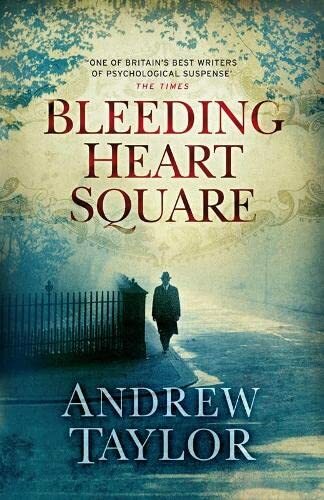 Andrew Taylor is really good at developing what feels like an authentic atmosphere of London, and its characters of those times. As ever my thoughts on this book are on the scanty side for fear of spoilers but if you want to read a much more detailed review have a look at Margaret’s @ BooksPlease. 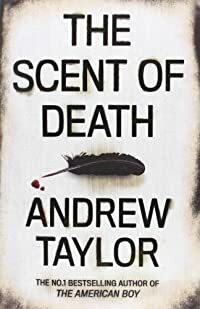 This is the first book which I’ve read by Andrew Taylor, I’m fairly sure that I had never even heard of him until Margaret@BooksPlease mentioned another of his books. I’ll definitely be reading more by him in the future as I did enjoy this one which was published in 2010. The setting is 1786 and the book begins in London where John Holdsworth, a bookseller/binder, is living with his wife and young son. Tragedy strikes the family though and Holdsworth’s life falls apart. A chance meeting with an old acquaintance enables Holdsworth to move to Cambridge, in the employ of Lady Anne Oldershaw. She has read a book which Holdsworth has written – The Anatomy of Ghosts, in which he claimed ghosts are delusions. Lady Anne hires Holdsworth to help her son Frank who had been a student at Jerusalem College, Cambridge, where he thought he had seen a ghost. Frank Oldershaw has been locked up as a dangerous lunatic. Can John Holdsworth secure his release? Should Frank be free and what exactly has been going on in the Holy Ghost Club, a secret society which is only open to the rich, elite students of Jerusalem College. I found this book to be a page turner, which is just as well as it’s fairly hefty at 469 pages. I don’t normally read what other people say about books before I write anything about them but I did this time, just because I had never read anything by Taylor before. I was surprised to see on Goodreads that someone mentions that it’s a short book – it makes me wonder if the reviewer had read the book at all, very strange. I think all of these books or authors have been recommended by other bloggers or commenters, which leads me to wonder how I chose my reading matter before the internet. I’m sure it was Margaret@BooksPlease who pointed me in the direction of Catriona McPherson and Andrew Taylor, but I’ve kicked off with Miss Buncle Married as I enjoyed Miss Buncle’s Book so much. 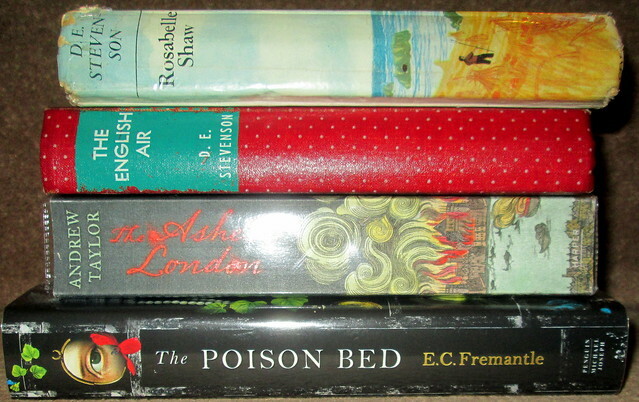 I also have five books on request so I’ll have to get down to more reading, just at the time when I’m also trying to buff my house and garden up. There aren’t enough hours in the day.